Discovering the importance of the arts in God’s Story – and our stories – by cultivating reconciliatory relationships between artists & churches. How do artists experience the world? How do creative hearts respond to the Story of God? We believe this matters. 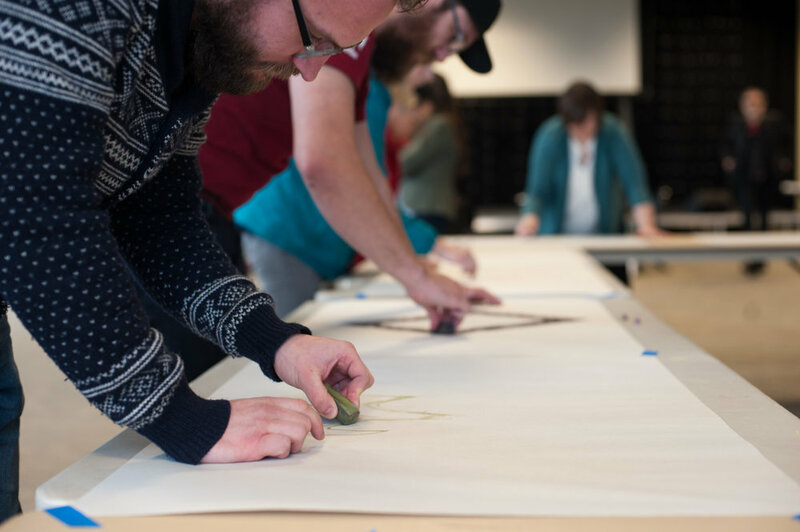 The mission of the Cascadia Residency is to cultivate generative relationships between artists and ministry leaders who are mutually dedicated to the artistic renewal of our region and its churches. We seek to inhabit the Story through a nine-month learning and working community of artists and church leaders. The program includes a series of short retreats and a two-week artist residency, allowing opportunities for theological education, vocational encouragement, art-making, and deep relationship for artists, church leaders, and entire congregations; and ultimately for the cultural and creative growth of our local communities. Entering our fourth year now, The Cascadia Residency has been a place of artistic growth, theological development, and spiritual formation for twenty artists of multiple mediums, in the context of a multi-denominational community. We invite all types of artists to apply - from visual artists to architects to singer-songwriters. The diversity of mediums in the program provides a rich opportunity for collaboration between artists and congregations. The mission of the Cascadia Residency is most effectively embodied in the relationship between the artist and the local church. For this reason, all artists who apply must have a deep commitment to a local congregation or a desire to build such a relationship. The important work of creativity in the church and in the world is centered on the work of Christ - in whom we live, and move, and have our being. We are, in fact, his hands and feet. Our artists must articulate this centrality of focus in their lives and work. The Cascadia Residency seeks churches and ministry leaders who believe in the value of the creative arts for the flourishing of communities. No matter where your church may be on the spectrum of engagement with the arts, the churches we seek are ready to take risks by investing in a group of gifted, multidisciplinary artists. Churches who are a part of the residency will support a regional artist financially, spiritually, and vocationally. A Church Liaison will be identified from each congregation to partner with the artist in conversation, learning, and fellowship throughout the nine-month period. Church liaisons and artists commit to to fostering community through day retreats, common readings, creative rhythms, spiritual practices, and sharing meals together; and to translating these experiences into their unique congregational settings.